It is safe to say that this rapid technology expansion is helping the world to revolve. There is a great part of technology that is giving support to the whole communication system, which is called GPS tracking. The full form of GPS is Global Positioning System. GPS is a satellite based navigation system that works 24 hours a day, 7 days a week, 365 days a year just like Google. GPS tracking in New Zealand has definitely gained a new momentum with companies like Superior Tracking Devices. In terms of GPS Tracking NZ, this company has undoubtedly created a strong and coveted niche that has made it one of the most trusted brands. Providing you the ultimate relief in GPS tracking services, this company makes every effort ensuring to add more value to your personal and professional life. The whole system works in numerous ways. But the two major uses of it are navigation of places and transferring signals between user and receiver which is also known as GPS tracking. 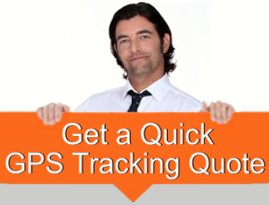 GPS tracking enables the receiver to locate a user of the tracker. Because of the tracking facility, the technology of GPS has become a useful thing to many people for many reasons. The GPS technology or facility gets vastly used in the Military force. But to people in general, the popularity is just growing and growing. Objects, cars and other vehicles, cellular phones and other devices are getting loaded with the GPS facility because of its various benefits. A vehicle tracking system is the automated use of modern technology to track the vehicles on the road. The fleet data is used for many fleet management purposes. Overall, the tracking is essential for the inventory purposes and security checks. The systems generally follow the GPS or the seldom referred to GLONASS technology which is the acronym for the Russian term Globainaya navigatsionnaya sputnikovaya sistema (translation: Global Navigation Satellite System). This is a space based satellite navigational system which is operated by the Russian Aerospace Defence Forces providing an alternative to GPS. This is the only other GPS system operating with global coverage which also has the comparable precision of the American GPS system. This also plays a vital role in the aspect of Fleet Management. People who like to run from one place to another especially to those that are unknown, use GPS to navigate easily and faster without any need for other people’s directional help. For commercial tracking, there are huge companies that run their own transportation fleet and for their own management system to be done in an efficient way, they utilise the GPS tracking facility and all its fleet management options. The modern day roads are full of vehicular variances and the use of such technological advancements can help a person to build in a security procedure in all of them. The vehicles are generally tracked and viewed through the internet or specialised software by means of electronic maps. The Vehicle Tracking system is extremely popular in the large cities. People may be dubious about the service and the accuracy of the whole system. Thankfully the performance of the GPS is extremely accurate provided it has a GPS satellite signal. Although it does not mean that the GPS can never be wrong. As with any electronic or mechanical device, it can show errors if frequent atmospheric change occurs, but this is rare. Not only for the tech savvy or younger generation, those who long to run on their own, must grab access to GPS technology. To know more about GPS tracking and vehicle tracking in New Zealand you can visit www.superiortrackingservices.co.nz and get a clear idea about their highly streamlined services that are designed cleverly to make life easier for its clients in New Zealand.